Would you agree that the speed at which technology is progressing is mind-boggling? Professionals make daily advancements to this ever-broadening field. Just as technology is changing and positively impacting the business realm, workplace training must also change in order for a company’s full potential to be realized. Are you still performing in-person training? If so, there is a more efficient way for your organization’s training needs to be met. While it is not bad in nature, the in-person training approach is quickly becoming irrelevant due to costliness and impracticality. Conversely, learning management system-based employee education saves time and money and allows leaders to effectively train all types of individuals. Much of the growth currently taking place in the business sector is a result of the actions of today’s burgeoning global workforce, an entity that is comprised of speakers of many different languages. The challenge is to put speakers of various languages through similar training courses. Corporations are wise to create cohesive training environments that can meet the communication needs of multiple nationalities. A social learning management system (LMS) is the solution for organizations that employ individuals who speak different languages. LMSs are cloud-based, and when used for training purposes, cloud-based systems have the power to connect employees from all four corners of the earth. An eLearning system renders in-­person training unnecessary. With a social LMS, a company can use one database to train employees who live in differing locations and speak various languages. Ultimately, this cuts training costs and simplifies language localization. 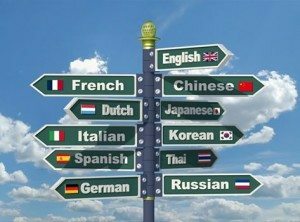 Language localization is a key feature of many LMSs. The tools built in to global workforce-friendly eLearning systems help companies adapt training resources to the needs of employees in foreign countries (as well as local employees who are unable to speak a company’s dominant language). A multi-language LMS that offers language localization makes it simple for workers to set up profiles in their primary languages and access training materials they can comprehend. Understandably, companies that employ speakers of various languages are finding eLearning platforms that offer language localization to be worth their weight in gold. Social learning management systems make what was considered impossible even a decade ago, possible. For example, the right LMS can enable employers to quickly distribute multilingual training content to anyone living anywhere (provided there is Internet access). Because it is cloud-based, a social learning platform allows individuals to upload videos, documents and other types of media to a secure eLearning center. Speakers of almost any language can view these work-related materials from a device that has access to the Internet. This increase in training curriculum accessibility quickly reduces company expenses. Peace of mind – LMSs make it possible for all of a company’s training materials to be stored on the cloud. The knowledge that training resources are safe and sound in one place results in peace of mind for company owners as well as employees. Heightened productivity – eLearning platforms that offer language localization have an amazing ability to unify employees in purpose and vision. The result of this is usually increased productivity and revenue, which, in the long run, contributes to higher salaries for employees. Ease of use – More than anything, employees appreciate resources that can be easily accessed and understood. LMSs make training programs comprehensive and help employees get on the same page, regardless of what languages they speak. Employee training techniques that were once relevant are now being replaced with methods that cater to the global workforce. In-­person training is on its way out, but a better approach, eLearning that offers language localization, has arrived.